A starting point in bringing coverage (ICT) to rural areas in Africa, to where the people who will use the infrastructure are living, is to make sure the key areas, such as Chiefs’ Palaces and surrounding villages have coverage. Then to expand the coverage from those points as the need arises. Here in Zambia, although there is a Council of all the 287 Chiefs, there are a number of Chiefdoms that have not been documented, and some that are “missing” in that their location is unknown. This expedition sets out to get a sense of the logistics required to survey the Chiefs’ Palaces in Zambia, and at the same time get a better sense of the expectations and impact – good and bad – that technology has when it meets the traditional culture more prominent in rural areas. So our planning of the logistics started yesterday. We are aiming to visit three Chiefs next week, and in order to follow protocol and still be as efficient with our resources and time, we’ve had to plan carefully around the order we visit them in. Because the areas are not developed, we’ll be camping while we take the time between visits to follow protocol and ceremonies. 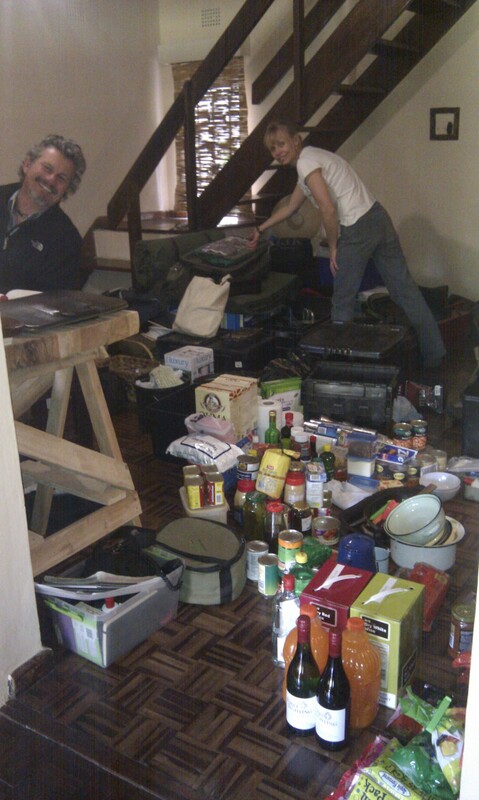 So yesterday we started with our sustenance needed, and planned the menus and packed the food. 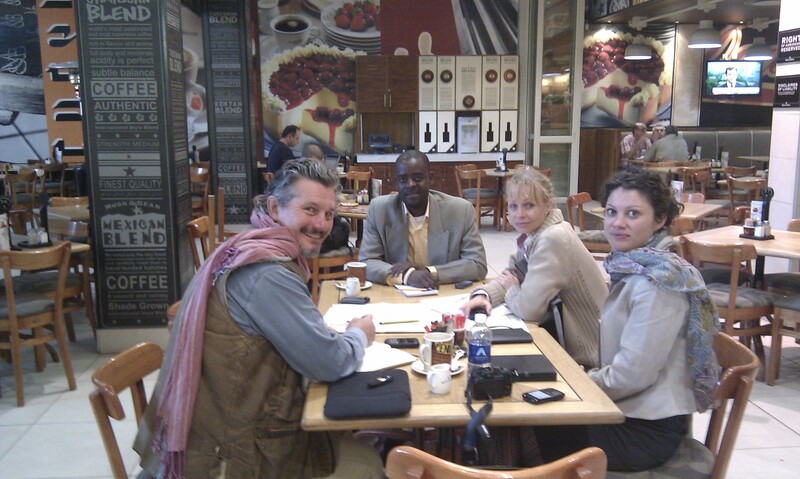 Today we met with Georgina, the photo journalist, and our local guide and Connect Africa’s Regional Coordinator, Prince Lloyd. Prince Lloyd will be walking us through all the protocols for each Chief, as it’s different for different tribes and Chiefs. I learnt from him that there will be a lot of clapping “moments” as we get there, as that is a sign to confirm we’ve arrived at the Chief’s Palace. Also, that as women, we need to wear skirts when we meet a Chief. I didn’t pack any though. So, Prince Lloyd just gave us girls a great excuse to go shopping to get some chitenges (traditional dress for women). We’ve also planned our itinerary for our three visits next week. 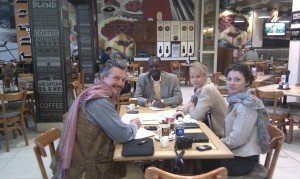 Prince Lloyd helped us, with his smile and two cell phones, in liaising with some of the Chiefs’ 2IC’s, or “Gambela’s” to start finalising our plans. Now we can set up the required meet and greets, and also get the permission we need to camp and go off-road where needed. Phew, lots to do! With spending the day planning the logistics, I’m reminded of the interesting conversation we had over last nights braai (BBQ for you non South Africans) of fillet, pumpkin and red peppers with the humorous story-telling friend of Dion and Jane’s. She left the UK fourteen years ago to live a more meaningful and exciting life, and found space for that here in Lusaka. Her pearl of wisdom, in amongst the funny stories, is that you can plan to the tiniest detail, but Africa has her way – and having a spirit of flexibility and adaptability is what you need to embrace her way and get by. And with that in mind, we have added to our list of things to pack: Flexibility. This entry was posted in Latest News, Palace Expedition and tagged prince by CA. Bookmark the permalink.